As the temperatures start to rise, so do the cravings for ice cream. Rather than buy a carton at the store, dust off that ice cream maker and treat yourself to homemade bourbon butter pecan ice cream. It's cold, creamy and the perfect dessert to beat the heat. Looking for a special treat to enjoy this summer? Well, the search is over. 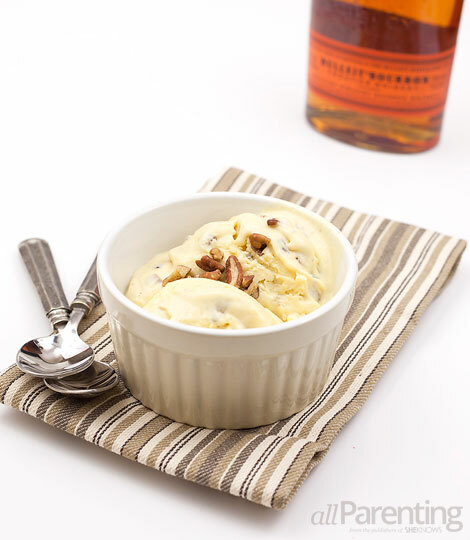 We have just what you need with this homemade bourbon butter pecan ice cream recipe. It's one guilty pleasure you'll be happy to indulge in day after day after day. A few hours before starting the ice cream, place the freezer bowl of your ice cream maker in the freezer so that it will be completely frozen when you're ready to add the chilled custard. Combine the whole milk and heavy cream in a medium saucepan and bring to a slow boil over medium heat. 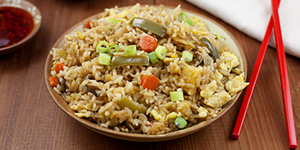 Reduce the heat to low and let the mixture simmer for 30 minutes, stirring occasionally. While the milk/cream mixture is simmering, add the butter to a small saucepan over medium heat. Stir and melt the butter completely, until it turns a light golden brown color (about 5 minutes). Transfer to a medium bowl and let cool. When the milk/cream mixture has about 5 minutes left, add the eggs, egg yolks and sugar to the medium bowl that also contains the butter. Using a hand mixer on medium speed, beat the mixture until it is thick, smooth and a pale yellow color (about 1-1/2 to 2 minutes). Pour out 1 cup of the hot milk/cream mixture. With the hand mixer on low speed, slowly add the hot liquid to the egg mixture. When thoroughly combined, pour the egg mixture into the saucepan with the rest of the milk/cream mixture and stir to combine. Turn the heat on to medium-low heat and cook while stirring constantly until the mixture is thick enough to coat the back of the spoon. Transfer the custard to a bowl, cover with a sheet of plastic wrap placed directly on the custard and put in the refrigerator to chill completely. Once the custard is completely chilled, transfer to your ice cream maker and follow the manufacturer's directions to thicken. During the final 2 minutes of mixing in the ice cream maker, add the bourbon and chopped pecans. Serve the bourbon butter pecan ice cream directly out of the ice cream maker or transfer to a freezer safe bowl and store in the freezer until ready to enjoy.